Large Open Gathering Space, Outbuilding(s), Outdoor Living Space, Outside Shower, Recreation Area, Shaded Area(s), Sunny Area(s), Swimming. Garden View, Hills View, Open View, Panoramic, Swimming Pool View, View. 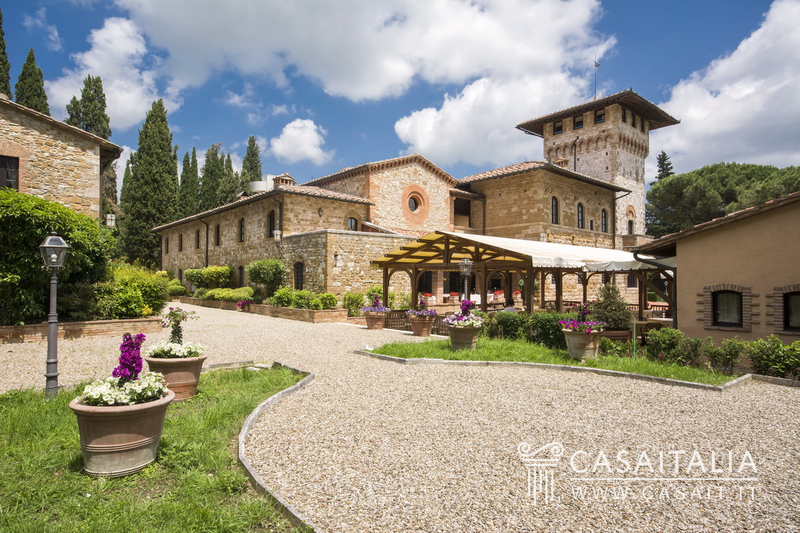 Historic country house, now a luxury hotel, for sale in San Gimignano, comprising main building, guesthouse, storehouse and various storage spaces in the basement. The hotel has 20 rooms with private bathroom, restaurant and breakfast room and large communal areas. With 2.5 hectares of grounds, pool, Italianate gardens and guest parking. 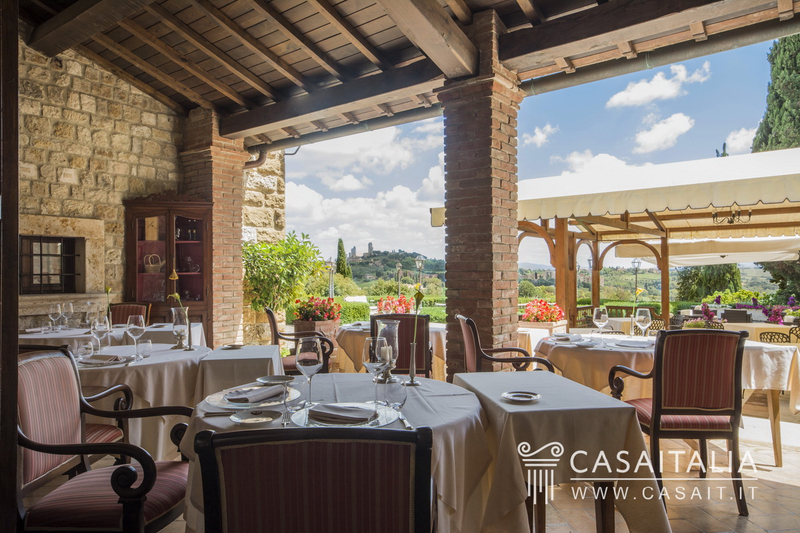 Geographic position La Dimora dei Principi is in a hilly location with a panoramic view of the rolling Tuscan hills and the famous city of San Gimignano, just 2 km away. San Gimignano is one of Tuscany’s best-known and most picturesque villages, a Unesco World Heritage site due to its architecture and its 14 medieval towers, which give it its unique skyline. 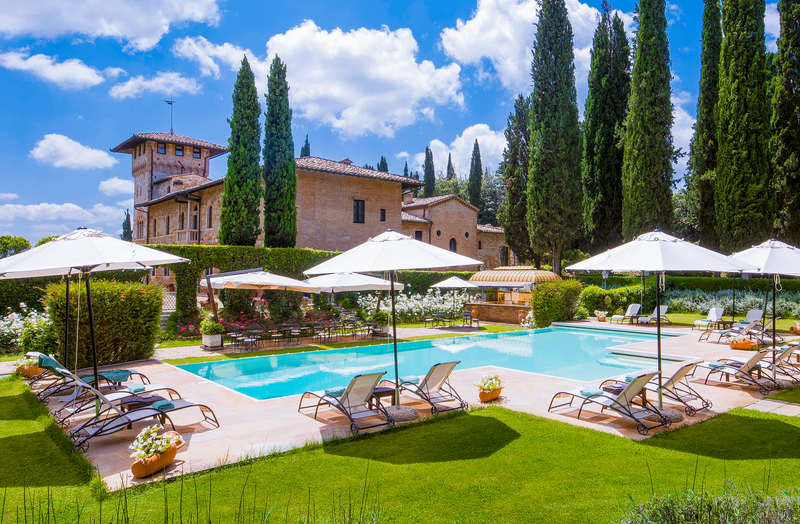 The property is easy to get to in 45 minutes by car from Siena and from Florence, each around 50 km away, and the nearest airport is Florence, 64 km away (one hour’s drive). 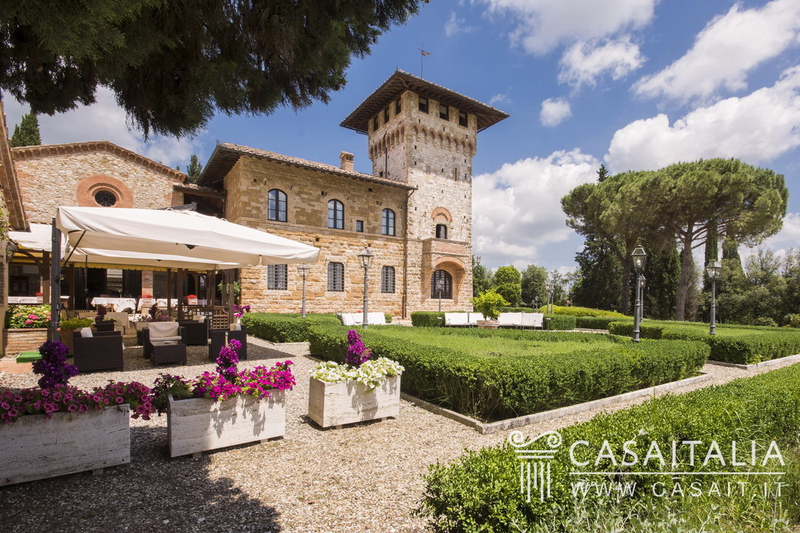 Description of buildings Surrounded by around 2.5 hectares of spectacular, tree-lined grounds, La Dimora dei Principi was built at the end of the 1500s. 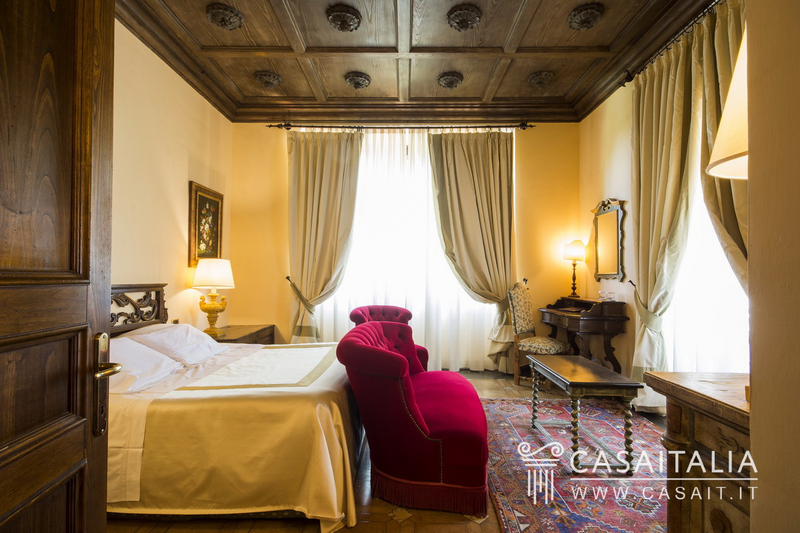 Its original purpose was as a Capuchin monastery, before becoming the summer residence of a Florentine nobleman and today an elegant luxury hotel. The complex comprises the main building (measuring around 1820 sq.m in total), the guesthouse (measuring around 188 sq.m in total), the breakfast room (measuring around 66 sq.m in total) a storehouse (measuring around 685 sq.m in total), and various storage spaces in the basement (measuring around 419 sq.m altogether). A picturesque, tree-lined lane leads right to the parking area that takes you to the main building, which is a hotel with part of the building used as a restaurant. 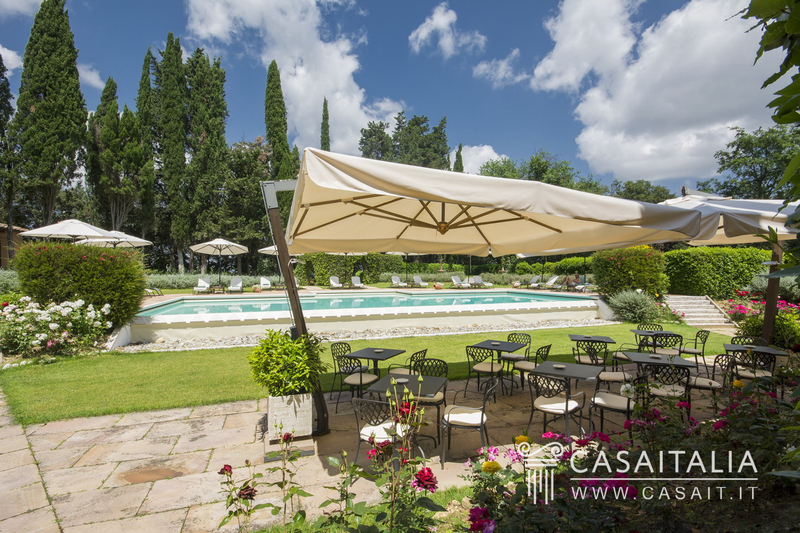 Surrounding the building, there is a pretty, Italianate garden, the pool area with bar and the grounds. 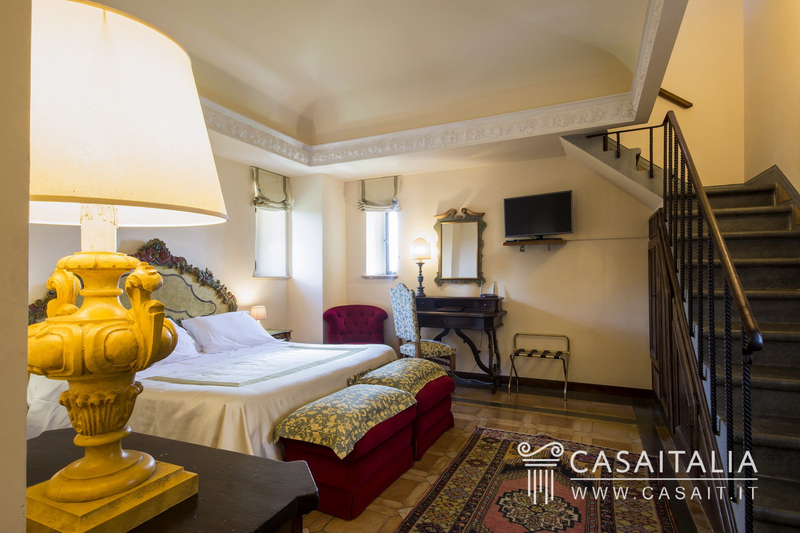 The hotel has 16 bedrooms with bathrooms (one of which is a suite), communal rooms, a bar, the manager’s office, two further bathrooms, three cellars and various storage spaces, storerooms and utility areas. The restaurant area has three rooms, the kitchen, three bathrooms and utility areas. In the centre of the building there is a cloistered quadrangle with a portico which runs the length of the perimeter. Under the cloister, a room once containing an old well has been converted into a unique wine cellar. There are another four bedrooms with bathrooms in the guesthouse. Underneath this, connected with the main building, there are basement areas used for storage and utilities, with changing rooms and guest bathrooms, storerooms for goods and a large operation area for vehicles to go in and out. 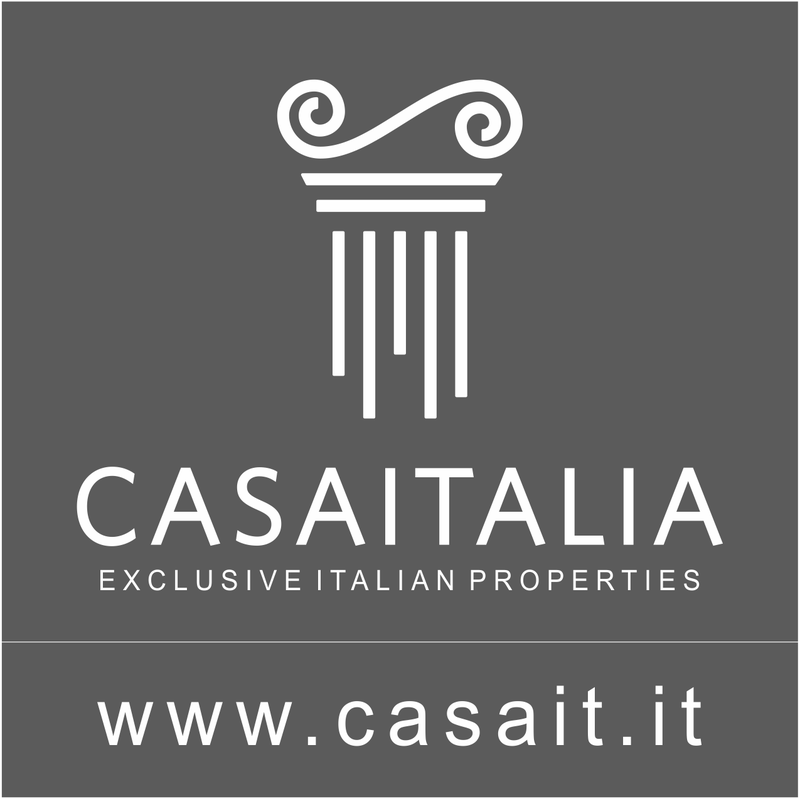 State and finishing The whole building is extremely luxurious and is in excellent condition. Original and refurbished materials were used for the majority of the restoration and important architectural features such as window frames, door jambs, columns, shelves and stringcourses have been preserved. 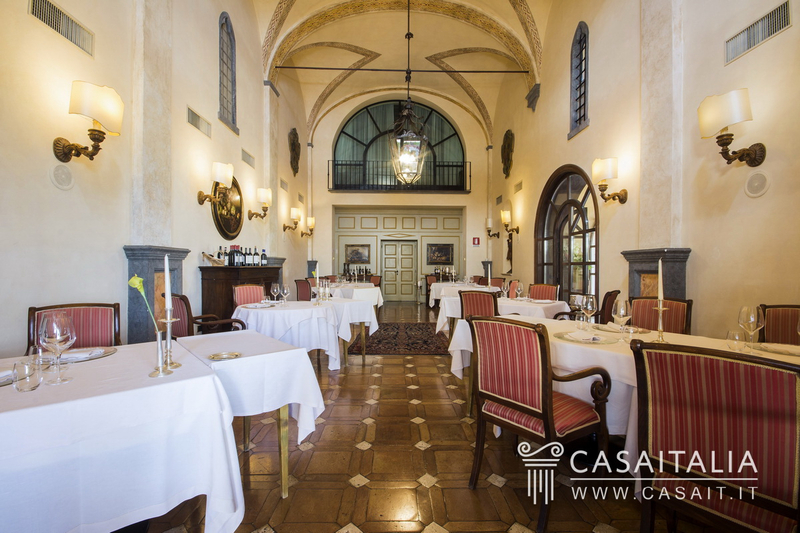 The former chapel and the sacristy have been converted into restaurant rooms, while maintaining their original features. 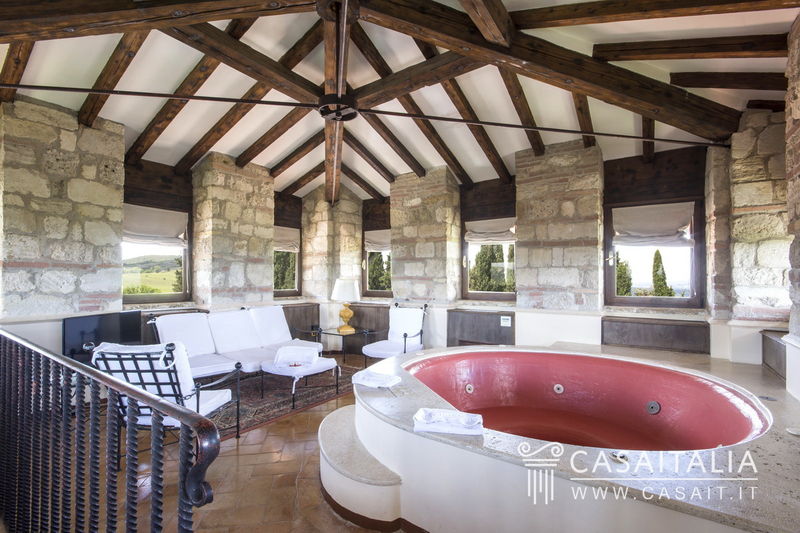 Other typical elements include the tower, currently used as a suite on the two top floors, comprising a bedroom and bathroom on one level and a relaxation area on the top floor, with hydromassage pool and 360° view of the towers of San Gimignano and the surrounding countryside and villages. External areas One of the things that makes La Dimora dei Principi unique is its pretty grounds measuring around 2.5 hectares, completely surrounded by an old perimeter wall. Within the grounds there is an Italianate garden, the pool with lawn area beside it, the woodland with tall Tuscan cypress (rarely found in wooded areas), holm oak and ancient oak trees, and an old tabernacle. The garden was designed by an acclaimed landscaper who was a student of Porcinai, one of Italy’s premier landscapers during the 1900s. The building also has a large, convenient parking area for guests. 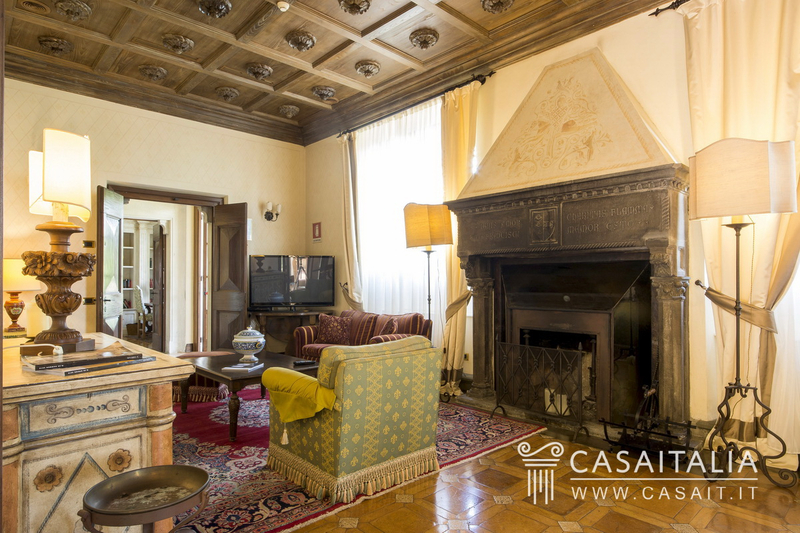 Use and potential uses Its panoramic, convenient and central location in relation to Florence and Siena, and its architectural features make la Dimora dei Principi the perfect property for a tourist accommodation business. However, it would be possible (having obtained the proper urban planning permissions) to convert the building back into a highly impressive private residence.